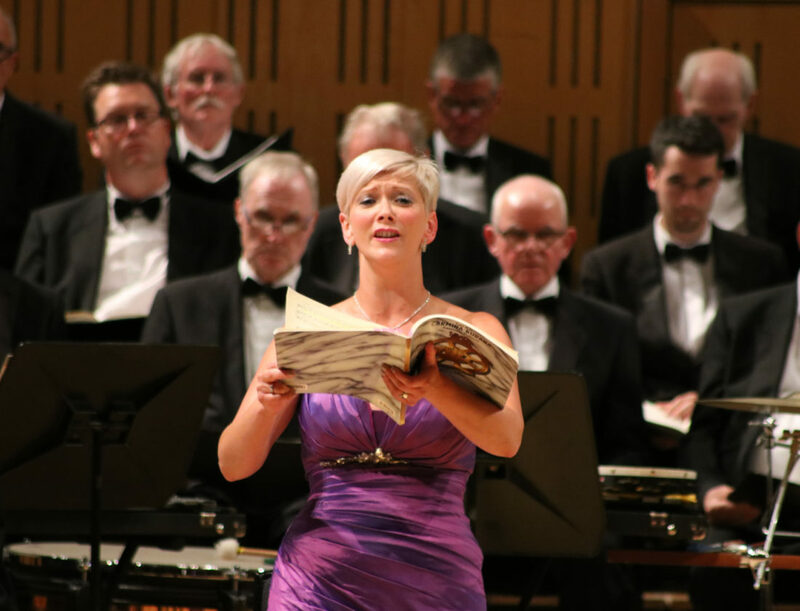 Emma was thrilled to sing in the National Concert Hall in Dublin in June 2018, as part of a trilogy of performances of Carl Orff’s Carmina Burana with the Belfast Philharmonic and Tallaght Choral Society. The first performance was in Belfast as a ‘come and sing’ event conducted by Stephen Doughty at the Whitla Hall in Methodist College, Belfast – Emma’s old school. In June the performance was repeated at the National Concert Hall in Dublin, this time only with the choirs (no ‘come and sing’ participants), a six piece percussion ensemble, and David Grealy on the organ, conducted by Lynsey Callaghan. In October we took the concert to Belfast to the glorious Ulster Hall. The other soloists were Christopher Cull (Baritone) and Andrew Gavin (Tenor). Emma will be joining Tallaght Choral Society and Lynsey Callaghan in Dublin again at the beginning of February 2019 as a soloist in Poulenc’s Gloria and the Duruflé Requiem. She will also be joining Stephen Doughty with Edinburgh Bach Choir as soprano soloist in their performance of Rossini’s Petite Messe Solennelle on 30th March 2019.